Retreat into four days of sacred ceremony, inner alchemy, women's circle, energy medicine, soul journey, breathwork, and the magic of sisterhood. Waning Veils to all things mystical, magical, & wildly-wise. Our retreat home is the beautiful Wheel of Bliss in Hot Springs, NC about an hour from Asheville and 10 minutes from Max Patch. 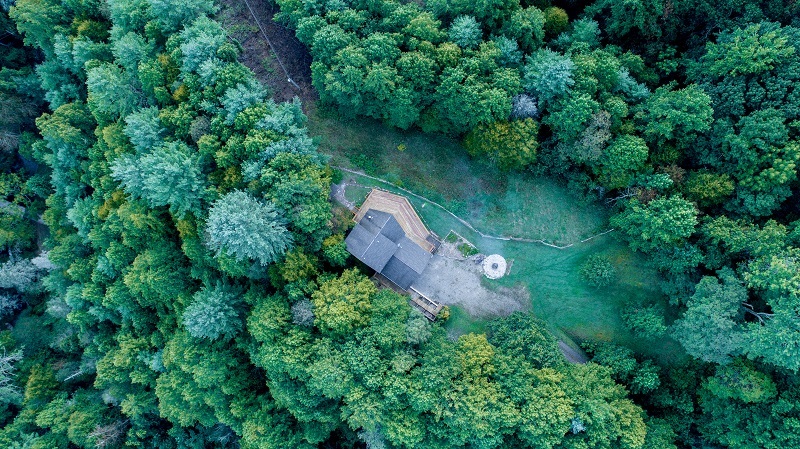 Nestled in to the heart of these oldest mountains in the world... we have 63 acres of sacred land, rolling meadows, creeks, streams, waterfalls, lush forests, and mountain trails to ourselves. This retreat center & her land have a deep and rich history of communities gathering in sacred ceremony and honoring ancient tradition. Jessica has a special relationship with the Wheel of Bliss in holding & attending multiple alchemical retreats on this land as well as being married there. This circle & retreat will continue to return here for communion, alchemy, and ceremony! Jessica Ricchetti is a Priestess & Energy Alchemist. She lives her life in Devotion, Love, Wild Woman Wisdom, and Sisterhood. Jessica’s soul-work is rooted in supporting women on a journey of Embodying Wholeness, rising in Divine Leadership, and sharing their own unique magic with the world. She practices an Alchemical blend of Energy Medicine, Sacred Ceremony, Soul Journey Breathwork, Women's Circles, Retreats, Shadow Work, Transformational Healings, Readings, and Mentorships. Her life and work are based in the sacred mountains of Asheville NC, and she supports women all over the world with distance sessions. Throughout the weekend you will be well fed with homemade vegetarian-based meals and mindful snacks/treats. All dairy, egg, animal protein, and gluten will be separate, to accommodate all vegan, gluten-free, and vegetarian sisters. In addition to our meals and snacks, we will also be enjoying the delights of: Wild Woman’s Moon Herbal Tea (aka “the” tea), Turmeric Golden Milk, and Herbal Elixirs. Please inform of any food allergies/sensitivities upon registration. It is important that you feel nourished, so if there is something specific you desire or require, you are welcome to bring supplemental nourishment for yourself. Please remember to take care of your needs.